The cover and contents suffer from folding, scuffing of edges, spine splits, discoloration, etc. VINYL CONDITION: EXCELLENT. FAIR: The record is still just playable but has not been cared for properly and displays considerable surface noise; it may even jump. Bobby Moore, Alan Ball and Jackie Charlton. THE 1970 ENGLAND FOOTBALL SQUAD -. The Captain's showcase - Bobby does a fine solo run, ably assisted by. This highly collectable 12" vinyl LP pressed by PYE RECORDS in 1970 has NEVER BEEN PLAYED since its manufacture. Audio CD (13 Dec. 2004). It Feels So Good - Sonique. Sonique - Vasco Rossi. Parisienne Walkways - Gary Moore. I Heard It Through The Grapevine - Marvin Gaye. Hey Ma - Cam'Ron. I'll Be There - The Jackson 5. 4 RARE Liverpool FC 7" Vinyl RECORDS INCLUDING 1 PICTURE DISC . Dispatched with Royal Mail Signed For® 2nd Class. 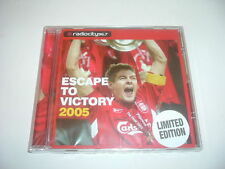 The Liverpool Football Team - We Can Do It EP - 7" vinyl single. Featuring the 1976/1977 Liverpool FC squad. Side A - We Can Do It / Liverpool Lou. Released in 1977 by State Records. Side B - We Shall Not Be Moved / You'll Never Walk Alone. The Kop Choir Liverpool clubs own football sound LP This has been used and does have evidence of scratches, but we no longer have a turntable so can’t check it out! "MANCHESTER UNITED FOOTBALL TEAM". MANCHESTER UNITED 7" SINGLE. Manchester united football squad cassette single. Dispatched with Royal Mail Signed For® 1st Class Letter. MANCHESTER UNITED FC: 1985 FA CUP FINAL SINGLE: 'WE ALL FOLLOW MAN UTD' LOOK !!! 'WE ALL FOLLOW MAN UTD'. Good Condition 7" 45RPM Manchester United FC 1985 FA Cup Final squad singing 'We all follow Man Utd.'. MANCHESTER UNITED FC . 1985 FA CUP FINAL SINGLE . Fair: The record is still just playable but has not been cared for properly and displays considerable surface noise: it may even jump. Poor : The record will not play properly due to scratches, bad surface noise etc. Liverpool Football Team - Kenny D. the pride of Liverpool7” single. Here’s another vinyl record for sale out of my record collection box. Loads more vinyl records listed now. LIVERPOOL FC. 7 ”RED Vinyl Record. RARE & VERY COLLECTABLE. Craig Herbertson & Ed Westerdale. Produced by Craig Herbertson and Guntmar Feuerstein. A wonderful collection of songs by Craig Herbertson and Ed Westerdale. Hearts of Glory (4.37). The Hearts Song (3.15). Collectable vinyl man United in mint condition with a copy of signing team slip. Fenerbache Centenary Dvd 1907 To 2007 History Football Turkey . Dispatched with Royal Mail 1st Class Large Letter. MANCHESTER UNTIED - FA CUP FINAL 1979. TITLE: MATCH OF THE CENTURY - ARSENAL VS. GREAT FOOTIE LP FROM THE 1979 FA CUP FINAL. YEAR: 1979. FORMAT: 12" VINYL LP IN PICTURE SLEEVE WITH. COUNTRY OF ORIGIN; MADE IN UK. "WEMBLEY '68" CUP VINYL ALBUM RECORDING. SPORTING RARITY!! 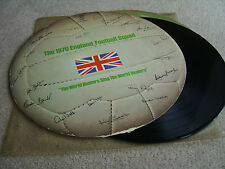 A 12" vinyl recording of the 1968 WEMBLEY CUP FINAL which was played between Everton and West Bromwich Albion. The sticker on the album cover shows that it was produced in association with B.B.C. Radio Enterprises. 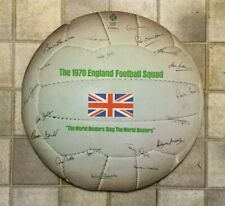 england 7"picture disc record..1982 world cupspain squad.robson.keegan.hoddle. Dispatched with Royal Mail 2nd Class Large Letter. It’sDes Coupe, the blind physiotherapist who worked at Preston North End F.C. and Liverpool, taking part in a1952 radio interview. The lucky winner of this unique piece of Preston North End F.C. history will also receive a professionally madeaudio CD of both sides of the disc. GREAT FOOTIE LP FROM THE YEAR ASTON VILLA BAMCE LEAGUE. TITLE: VILLA THE CHAMPIONS -HIGHLIGHTS OF SEASON 1980-81. FORMAT: 12" VINYL LP IN PICTURE SLEEVE WITH. COUNTRY OF ORIGIN; MADE IN UK. YEAR: 1981. 4 Liverpool, Liverpool (Liverpool Supporters). 1 Sing Along With Liverpool. Original LP from 1972. Catalogue number PELS 530. 8 You'll Never Walk Alone. 5 Mister Sunshine 6 Lily The Pink. Vinyl is in very good condition, just the odd light surface mark. CHAMPIONS EVERTON F.C. THE OFFICIAL SOUVENIR CASSETTE. FOR FULL DETAILS OF THE CONTENTS OF THIS FABULOUS SOUVENIR CASSETTE. This is for any serious collector who is the proud owner of a high quality Cassette Player! 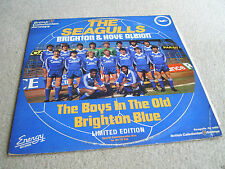 7" single record, produced for the 1979-80 promotion season, which coincided with Sunderland AFC's centenary. Cover and record are in very good condition. Tribute - Bobby Charlton UK 1973 7" Jam Records Catalogue Number JAM 48. Glasgow Rangers - Vinyl, LP. B2 The Rangers Of Glasgow. A3 We Are The Rangers. 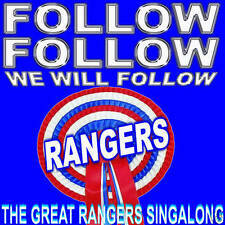 A5 The Rangers Pride And Joy. A6 Rangers Hot Punch. B1 The Loyal Rangers Fan. Vinyl in near mint condition. BATTLE OF THE GIANTS--THE 1977 F.A. CUP FINAL LP--OFFICIAL SOUVENIR ALBUM. QUALITY RECORDINGS label cat. QP 23/77 (1977). BOX SETS CAN BE COMBINED WITH SINGLE LP's . FOR EACH EXTRA LP. USA/REST OF THE WORLD--£2.50 (MAXIMUM OF 7 OR 8 LP's). This is a nice example of We’re On The Ball by Glen Daly and the Fans of Scotland / Sulva Bay by Glen Daly. It was released on the Pye label in 1974 – 7N 45329 – and is in EX condition. There is a sticker on the a-side label. This record is in good condition. It's outer picture sleeve cover is also in good condition. LABEL: POLYDOR RECORDS. TITLE: SCOTLAND SCOTLAND. GREAT FOOTIE LP FROM THE 1974 SCOTLAND. WORLD CUP SQUAD. YEAR: 1974. FORMAT: 12" VINYL LP IN G/F PICTURE SLEEVE WITH. COUNTRY OF ORIGIN; MADE IN UK. Rare football item. The record although visually excellent plays with light surface noise but remains very good . The period picture cover shows a little age discolouration but is also very good. ENGLAND 4 SCOTLAND 1. This was New Orders first and only UK number one and for once here was a footy song that people actually liked! 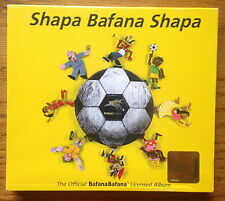 Most notable however is the famous John Barnes rap towards the end of the song. 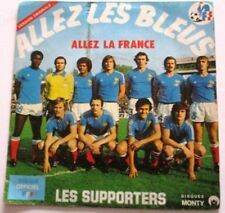 This is the original recording which was released in 1979 when Brian Clough was Manager at Nottingham Forest FC when they won the Euopean Cup 1-0 against Malmo FF of Sweden. Rare-Nottingham Forest FC 1979 song 'Come On The Forest' by the Fans.7" vinyl.